Miikka says "You are too late, I gave it all away already." I'm feeling a bit draggy and out-of-sorts today (instead of going to the gym, I ended up sitting on the floor of my closet for 10 minutes, petting cats and dozing, before I went back to bed for a while). So, you get a cute picture of Miikka, the beer delivery dog. 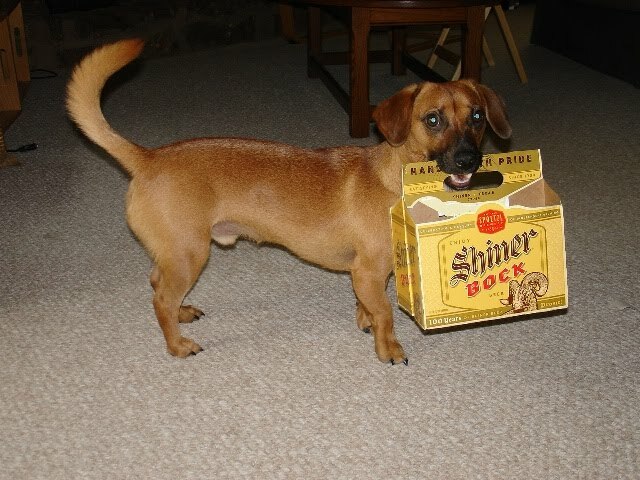 He loves him some cardboard boxes, and six pack holders are perfect for carrying and tearing to pieces.